Nae probs. Interestingly it's possibly not in the SNPs interest to do well at Westminster because peeps like me may be happy for SNP to represent them at Westminster and if they do that well then less reason to go for Indy. This is why imo the SNP get higher voter share in elections when compared to the Indy percentage. Depends how you define 'doing well'. It seems that they are doing a better job of representing Scotland than Labour previously but even some of their more modest proposals/amendments are voted down irrespective of their individual merit. They were voted down by the other parties, but then, you already knew that. I could go on, with many of the SNP manifesto pledges. The SNP have been a disaster as a government. And continue to lie. Can't they reintroduce? Personally I think the Council Tax is fairly decent anyway. It's based on house value so reasonably progressive. Secondly, the bands have not changed for many years. Which also meant it was less progressive. The 2017/2018 year marks a change, no compulsory council tax freeze, and I think the bands have seen some re-assessment. I would like to see it, they probably haven't proposed an alternative due to the freeze. A system based on land value would be fairer, there's a few interesting papers out there supporting that. As of today, there are 2 more growing out of the fabrication hall and work in the new Frigates has started. On the bit in bold, this really does bug me. They are not there to represent Scotland. They are there to represent the interests of their constituents. So they are there to represent Edinburgh North and Leith, to represent Banff and Buchan, Inverness, Western Isles, Coatbridge, Glasgow South and the rest and to do so with those localised seats and their interests first. Not Scotland. We need to stop homogenising Scotland's varied and differentlocal needs as one. I agree the SNP are much more vocal and prominent but they seem to operate as a block group. Plus the inability to defy party policy is to me counter intuitive to their duties to their seats. I would say on NI, if this had happened with an extension of rights to self employed people there would be a trade off and it'd be more palatable. However, Labour missed a huge goal there in their response to the budget and again Corbyn's leadership have allowed this to go unpunished. Hammond is only acting so fast and loose because he has nothing to fear from Corbyn/McDonnell. Labour have started to rediscover a good vision to take to the people but those two need emptied for the good of the party and the nation to provide a stronger opposition. But... the SNP didn't want to agree to Liberal Democrat proposals to make it a locally set rate. They wanted to bring it in nationally and have the Finance Minister set the rate nationally. If they'd been perhaps more committed to localisation then they'd have got it through. However, definitely with you on a Land Value Tax but I'd look to be giving much more tax power to local government and to really empower local government. Government closer to the peoples needs will deliver better results on public health, transport, schools and local services. Time to trust not hamstring local government. Are you saying we should give more responsibility to Edinburgh council? Don't think you'll get many people agreeing to that. Remember that time they spent all our money on a tram line to the detriment of every other public service. That tram line situation is much more complicated an issue than just being the council's fault. Scottish cities need to be given more power like Liverpool, Manchester and Birmingham have because if not they'll be left behind those cities. That might or might not be true, and I have very little knowledge of those who run Liverpool, Manchester or Birmingham, but Imwouod not be inclined to allow those in power at Edinburgh district council any more power than it takes to open a door because they are a selfish bunch of deluded halfwits whose sole intention is to raise their personal profiles to the detriment of everything else. People like Hinds don't deserve to be allowed to quit, she should have been sacked for the complete mess she has made of her department and the city. Didn't take long for this and the usual suspects to turn it into another SNP thread. 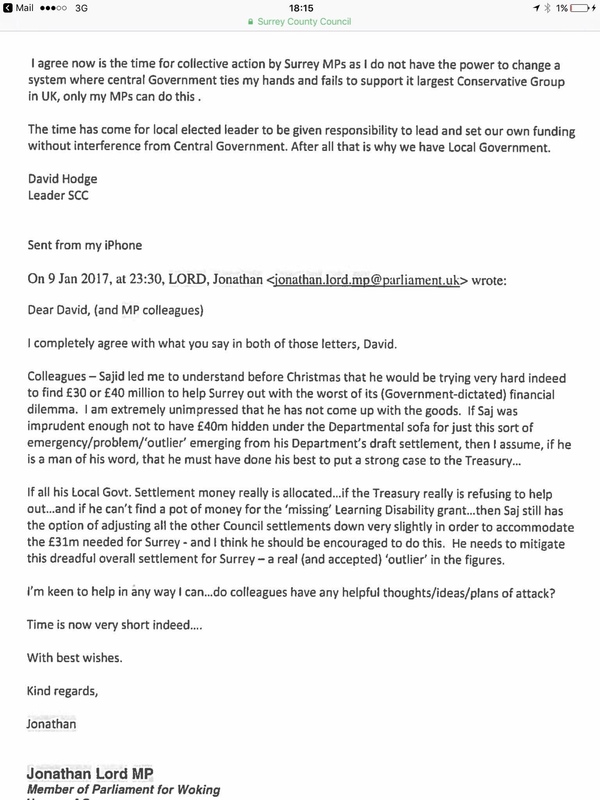 Meanwhile, leaked documents show Surrey County Council given ?40 million to call of their threat of a referendum. May has been lying to Parliament. When you're promised 12 and they reduce that number to 8, it's still a broken promise. Fair enough although slightly pedantic, by definition they are representing the interests of Scotland through the support of individual constituencies. They are a new batch of MPs, mostly recruited on the back of the referendum. I would like to believe that most of them have the same beliefs on the back of that shared experience. They also, with no exceptions, seem to occupy the left. Bullsh1t. You lot look for the tiniest reason to be aggrieved and then ignore anything that is good news. In this case you conveniently ignore the development to follow the 26s and their potential for international sales. I'm sure the RN's decision to relocate all of the SSN Squadron to Scotland did not feature in any "promise" but, lo and behold. Not just the boats but the infrastructure and associated jobs. Can you confirm if you applaud that investment. They're only asking you to pay an extra ?240pa. You're only going to hide another ?5k of your earnings to get it back so why are you crying? Of course no applause will be frorthcoming. Any decision Westminster makes that benefits Scotland or gives Scotland jobs is taken as a minimum and something we automatically deserved anyway. Any decision that means jobs in rest of UK is bad for Scotland and proves that we are constantly ignored and put down. Such bitterness and pettiness that is basically the politics of envy. Doubt they will to be honest. In the meantime, what happened to the SNP pledge to reduce classroom sizes in primary schools? Is that one broken or just ignored? I'm sorry but if the government PROMISED 12, and reduced that number to 8 then it's a broken promise. Where's the bitterness in that post? Scotland were promised something for a No vote, only for the government to renege thus placing thousands of jobs at risk. 'Aye but if Scotland voted for independence, there would be no shipbuilding contract'. No doubt this will be the retort. Do you and your fellow supporters actually go through every manifesto,more cord every pledge/promise and then watch closely through the years to see if they are met or not. You could say it is a pledge met with reduced terms but circumstances change and if you don't agree, then fair enough. Can we have a list of all pledges from SNP and see how they are doing or are the SNP immune from monitoring? More Tory lies. 200,000 entry level new homes not being built. This wasn't a manifesto pledge. It was a promise that if Scotland voted No, 12 frigates would be built on the Clyde thus securing jobs. If someone promised to secure my livelihood and then reneged, I'd be irked. I've never voted for the SNP but given half the electorate voted for them last time around, it would appear that their supporters are happy with their governance of Scotland. Liam Fox stating that he never sent a tweet whilst it's displayed on a massive screen behind him! Haha, what a fool. What do you care, this is UK politics and you can't be bothered staying here. I watched the programme live and I was like WTF at the time. I've answered your narrow-minded assertion on the other thread. I have read it. Some twaddle about studying abroad to improve family prospects. What about staying in Scotland or is our education not good enough for you. You make mention of your property and investments. So you have property here that you don't stay in and presumably rent out for profit. Not exactly the fair society you preach about. In fact, that sounds exactly like Tory ideals. Anyway, you have chosen to leave Scotland, you don't stay here and therefore whatever you say or believe about Scotland is irrelevant. You are in fact, the exact type of person who makes me ashamed to be Scottish. Only interested in yourself, whilst preaching about fairness and caring. What a hypocrite. What a first class, uncaring selfish piece of work you really are. I got my degree in Scotland, the masters program was not available through UK universities. I have family staying in the property that I own. The negativity and vitriol really adds a nice gloss to your posts. Oh, and I've dedicated my life to public service so there's nothing hypocritical about my approach to life. Your second point has me scratching my head. If they were of the left I'd have expected much more of a push back on their own Holyrood government's poor budget which is cutting funds and not using devolved tax powers. Not pedantic at all. For arguments sake the SNP national need may be to abolish Trident but that doesn't serve the needs of the people in the seat of Argyle and Bute well given a large proportion of the local economy is reliant on the highly skilled work there and the supply chain therein. Yet the MP cannot under party rules side with his/her constituents needs there. Same goes on all other policy areas. We must not blur national and local needs. People in Leith have different needs from government than that of Sutherland and Caithness. The issue I have is the prevalence of the "Scotland is local" mantra of the SNP. It's not and local needs should be increasingly the bread and butter of our debates. Not Scotland. It's not a homogenous state. The tax raising powers are not extremely limited, they are more than flexible enough to raise significant revenue. But after years of whining they then didn't use the powers to create a more progressive fiscal approach. Because they themselves are Tories. I'm not denying that there is a strong party whip in place in order to provide a united front, I just feel that most of them got into politics for the same reasons. All the new members joined shortly after 2014. It's quite likely that they share ideas thanks to the referendum experience that initially brought them together. Of course. Are people not allowed to have them in your view? Your opinion of me is I make stuff up and lie. You are entitled to it.